The beguiling elephant of Sri Lanka (Elephas maximus maximus) is the largest of the three subspecies of Asian elephant. It is known colloquially as Aliya in Sinhala ( ) and Yannai in Tamil ( ). Since 1986, the native elephant of Sri Lanka has been classified as Endangered by the International Union for Conservation of Nature (IUCN). Distressingly, the elephant population has plummeted from 12,000 – 15,000 animals 180 years ago to a mere 5,800 animals today. Their disappearance is due mainly to loss of habitat, government-sanctioned culling and trophy hunting during the colonial era. Many were also lost to land mines during the armed conflict of the 20th Century. Thankfully, the Sri Lankan elephant is now protected by law. Although wild elephants are now largely found in National Parks at Udawalawe, Yala, Wilpattu and Minneriya, a great many live outside of protected areas. Human-elephant conflicts in areas outside of parks result in the tragic loss of 100 – 200 wild elephants every year and, sadly, several baby elephants are abandoned or orphaned. Thankfully help is available for baby elephants. 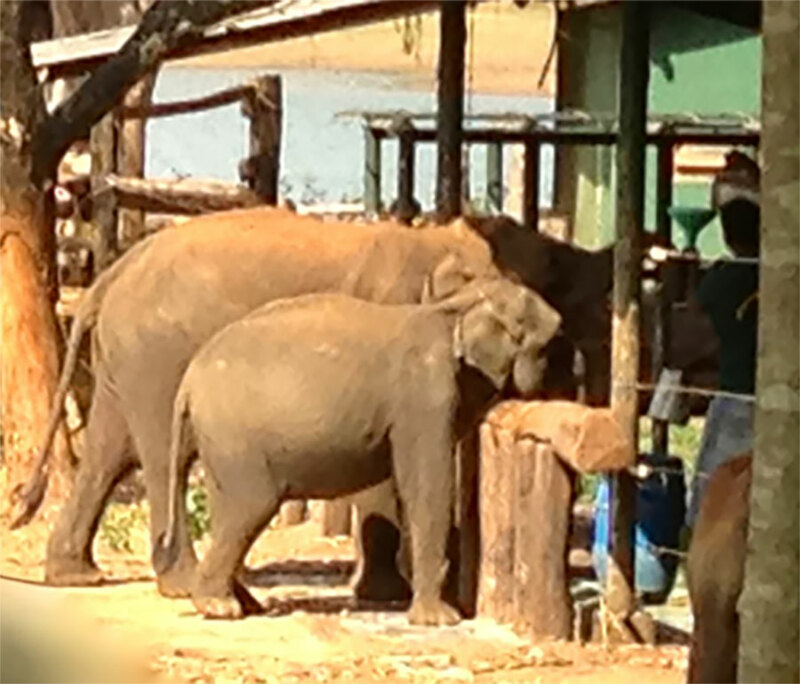 The Elephant Transit Home (ETH) in Udawalawe is a rehabilitation centre for orphaned elephants. The babies are given milk four times a day at 9am, 12 noon, 3pm and 6pm. They otherwise roam free in the adjoining Udawalawe National Park where they will live full-time from the age of 4 or 5. Currently the ETH cares for 33 orphan babies and 103 have so far been rehabilitated to live as wild elephants in the National Park. 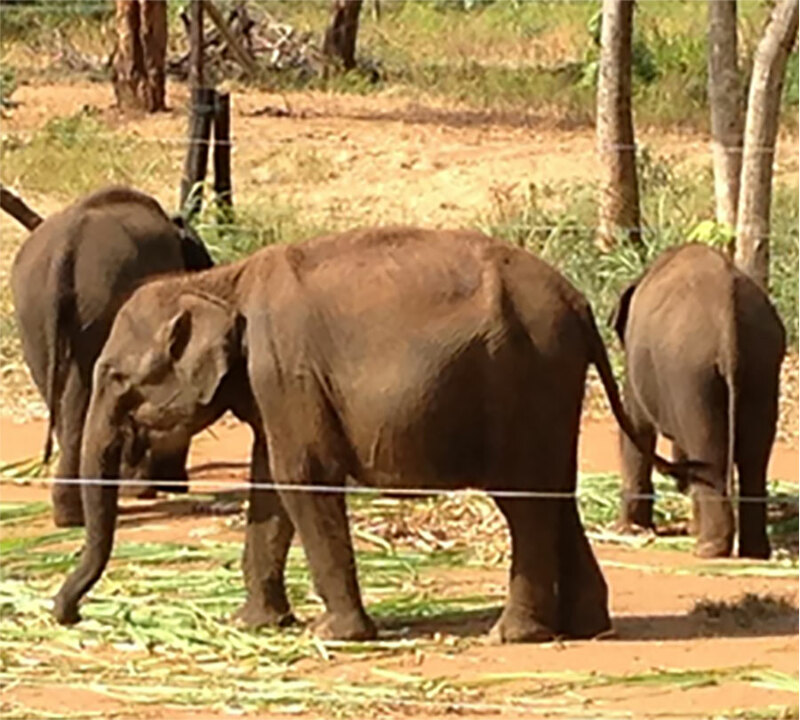 We at the Taprobane Tea Company love elephants so we donate to the Elephant Transit Home. In the future we hope to adopt one of the babies at the ETH and call him “Taprobane”. 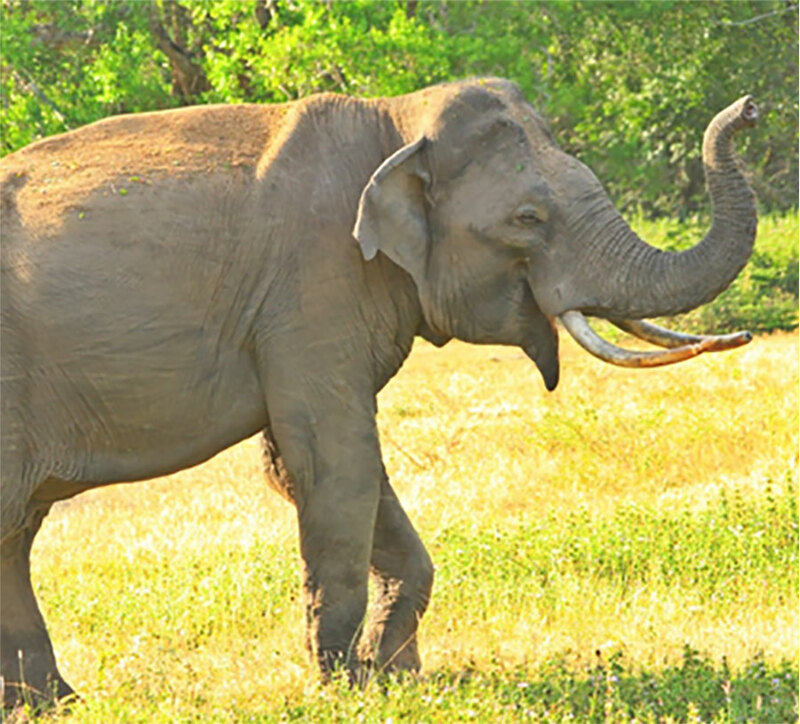 Here are some further elephant facts: the native elephant can have a shoulder height of 2 – 3.5 m and weigh as much as a truck (2,000 – 5,000 kg). It has the darkest pigmentation with larger paler areas on the ears, face, trunk and belly. These beautiful animals live in families of 12 to 20, including nursing mothers and babies, and are lead by the oldest female, the matriarch. Adults can eat a staggering 150 kg of plants daily!